Cube Lighting Limited offer a wide range of affordable LED and lamp-replacement light fittings, suitable for a variety of applications. 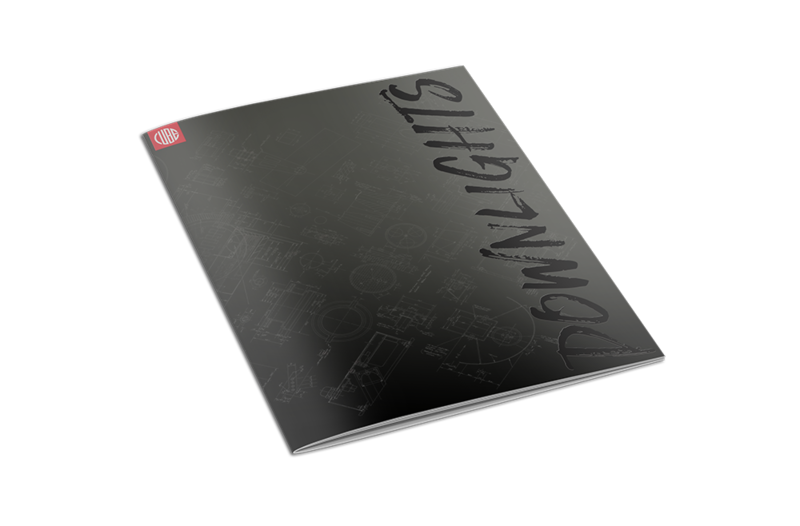 Our In-house designers have a vast experience within the lighting industry & are dedicated to designing industry leading products. Our state of the art facilities are dedicated to manufacturing quality products from our UK base in Berkhamsted, Hertfordshire. We are able to design, produce and manufacture large or small bespoke products within a remarkably short lead time. Our remarkable and industry leading Fluxline linear light range has everything covered in terms of a linear product. The range features wide and collimating distributions, available with High Power and IP versions suitable for exterior uses. The ingeniously designed recessed channelling includes plaster-in, trimmed and trim-less versions across all profiles, utilising a well-engineered ‘’clip-fix’’ to make the luminaire visually discrete if required. Our comprehensive downlight range covers a multitude different aesthetics dependant on your needs. 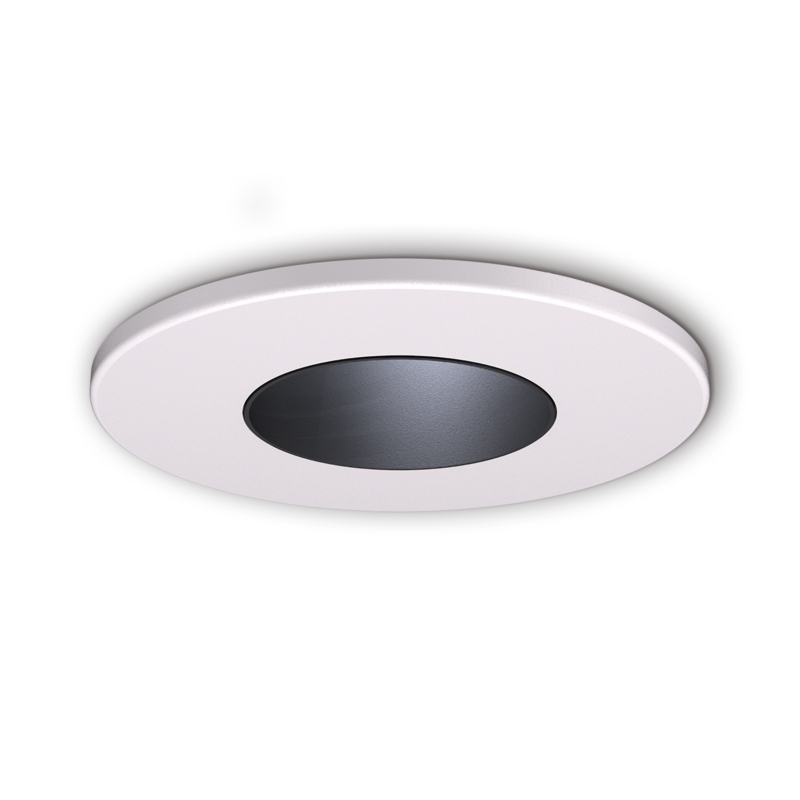 We have designed different downlights to suit all areas of the market. LED downlights are a clean, environmentally friendly, low energy alternative to halogen and are fast becoming the customer’s choice when either updating existing lighting or starting a new project. Designed and manufactured in-house from our collaboration with world leading Architects, Lighting Designers and Specifiers; our Architectural range of products help us stand out from the competition and continue to stay ahead of the latest trends. This extensive and ever expanding series of products, many developed originally from bespoke project requirements, use the best quality materials and latest LED Technology to achieve unique solutions to interior and exterior applications. To request a Price List or a specification sheet, complete the form below. Sign up and we'll let you know what's going on before anyone else. © 2018 Cube Lighting Limited. All Rights Reserved. In these terms "the Supplier" means Cube Lighting Limited (Company Registration number 3084853) and "the Purchaser" means the legal entity purchasing the "Goods" which means items and/or services to be supplied by the Supplier to the Purchaser and does not include lamps unless otherwise stated. "The Contract" means the agreement for the supply of Goods established by the Supplier's "Quotation" or “Order Confirmation" which is subject to these terms. (a) The Supplier's Quotation is an invitation to order and the Purchaser's Order is an offer to purchase the Goods specified in the Quotation, subject to the Supplier's Confirmation. All Quotations, Orders and Confirmations are subject to these terms, which shall prevail over any other terms and conditions purported to be incorporated by the Purchaser, whether expressed or implied. (b) No variations and no representations about the Goods shall be effective unless in writing and agreed and signed by the Supplier. (c) By entering into the Contract and/or accepting delivery of the Goods, the Purchaser shall be deemed to have accepted these terms and to have withdrawn its own terms and conditions (if any). No Order shall be deemed to be accepted by the Supplier unless and until a written Confirmation is issued by the Supplier or (if earlier) the Supplier delivers the Goods to the Purchaser. All Orders must be placed subject to these Terms and the Supplier does not accept any other terms or conditions. (a) Prices are valid only for the goods and the estimated delivery dates specified in the Quotation which is open for the period shown or if none is shown for 30 days from its date unless extended in writing by the Supplier. (b) If an Order is received within the applicable period, the prices in the Quotation will remain valid for delivery within a reasonable time from that date but should delivery be delayed for any reason the Supplier shall be entitled to charge at prices current at delivery. (c) Prices exclude delivery to the Purchaser's premises (Ex-works) unless otherwise stated. If the delivery address is not stated to the Supplier at the time of the Order, the Supplier reserves the right to charge an additional delivery cost if it agrees an alternative delivery address. (d) The Supplier may charge an increased price when the cost to the Supplier of supplying the Goods to the Purchaser increases for any reason, or where the supply of the Goods is varied or delayed due to the Purchaser's act or omission, failure to supply information, delay in approving drawings and specifications or alteration of requirements or otherwise. (e) The currency of payment will be UK pounds sterling unless otherwise agreed and VAT will be charged in addition at the applicable rate. (a) Delivery (when risk shall pass to the Purchaser) shall comprise the offloading of the Goods or attempt to deliver at the agreed delivery address or, if the Purchaser is to collect the Goods, the collection of the Goods by the Purchaser or its carrier. (b) The Supplier shall use reasonable endeavours to deliver the Goods on the dates agreed (time for which shall never be of the essence) but shall not be liable for any failure to do so nor for any failure due to any causes beyond its immediate control. (c) The Purchaser shall notify any shortages and/or failure to deliver to the Supplier within 48 hours of the agreed delivery date. The quantity of any consignment of Goods as recorded by the Supplier on despatch by the Supplier shall be conclusive evidence of the quantity received by the Purchaser on delivery unless the Purchaser can provide conclusive evidence proving the contrary. Any liability of the Supplier for non-delivery or short-delivery of the Goods shall be limited to replacing the Goods within a reasonable time or issuing a credit note at the pro-rata price against any invoice raised for such Goods. (d) If the Purchaser has by act or omission caused delay in collection or delivery, the Supplier may (at its option): (i) arrange storage for the Goods and the Purchaser shall reimburse the Supplier for all costs incurred calculated on a per pallet week (or part thereof) basis thereby including the notional costs of storage and insurance at the Supplier's own premises; and/or (ii) terminate the Contract without any liability to the Purchaser. If circumstances beyond the Supplier's control necessitate Goods being retained (in a completed condition or otherwise) by the manufacturer or Supplier, it shall be entitled to render an invoice as if delivery had occurred. (a) Time for payment shall be of the essence and, unless credit arrangements or other payment terms are agreed and endorsed on the Quotation or Confirmation, payment shall be made in full and cleared funds to the Supplier within 30 days of the invoice date. (b) The Supplier shall be entitled to charge interest on all sums remaining unpaid from the due date for payment at the annual rate of 8% above the base lending rate of Nat West Bank PLC, accruing on a compound daily basis until payment is made, whether before or after any judgment. (c) Payment may not be refused or delayed by reason of any defect in the Goods. The Purchaser shall make all payments due under the Contract in full without any deduction whether by way of set-off, counterclaim, discount, abatement or otherwise. (d) Failure by the Purchaser to make payments in due and timely fashion shall entitle the Supplier to postpone further supplies of goods or services under and/or to cancel any contract (whether this or any other contract) with the Purchaser without penalty and without prejudice to any of the Supplier's rights. (e) The Supplier shall be entitled to bring an action for the price or part thereof whether or not property in the Goods has passed. (f) Whilst any monies are owing on any account whatsoever to the Supplier (whether or not risk has passed) the Purchaser shall not receive either legal or beneficial title to the Goods but shall hold the item and any other goods supplied by the Supplier on trust for the Supplier separate and marked with the Supplier's name and insured for its benefit with a power to sell them for full value to a third party and hold the proceeds of sale or any insurance claim or the right to receive the proceeds separately on trust for the Supplier who is authorised to collect the proceeds from the buyer or other party who is due to make payment for them and to give a good receipt for the same. (g) Whilst the Purchaser holds on trust the Goods or any other goods supplied by the Supplier or the proceeds, the Supplier may at any time take possession of them for which purpose it may enter upon the Purchaser's property or as its agent on the property of any third party to remove the same even if embedded in the fabric and to apply to the amounts outstanding so much of the then current value of the Goods less the cost of re-possession, storage and re-sale. (h) Nothing in this Condition shall give the Purchaser the right to return Goods to the Supplier. Subject to the Purchaser's statutory rights, if the Purchaser wishes to return any Goods to the Supplier, it may only do so subject to and in accordance with these Terms and/or the Supplier's Returns Policy, a copy of which is available upon request. Subject to the Purchaser's statutory rights and these Terms, all returns are subject to the Supplier's approval (within its sole discretion) and credit may not be offered. The Returns Policy includes, without limitation, provisions for a handling charge and restrictions with regard to the timing and categories of returns. (a) The property and any copyright, design right and all other intellectual property rights in sketches/drawings/ Goods shall belong to the Supplier (or its licensor) notwithstanding that any specification may have been prepared in whole or in part by or on behalf of the Purchaser and, to the extent not otherwise owned by the Supplier (or its licensor), the Purchaser hereby assigns all right, title and interest (including all copyright, design right and all other intellectual property rights) in the Goods and any specification to the Supplier. (b) The Purchaser warrants that any specification or other information provided by or on its behalf for use by the Supplier will not infringe the copyright, design right or any other intellectual property or other rights of any third party, and the Purchaser fully and effectively indemnifies the Supplier from and against all and any claims, proceedings, damages, penalties, costs, losses and expenses (including legal expenses) suffered or incurred by the Supplier (or its affiliates) arising from any such infringement. (a) Upon the passing of the property in the Goods to the Purchaser, the Supplier grants to the Purchaser a non-exclusive and royalty-free licence to use any software incorporated in the Goods ("the Software") solely in connection with the Goods. (b) The Software contains confidential information of the Supplier (and/or its licensor) and the Software and all such confidential information are the exclusive property of the Supplier or its licensor, as appropriate. (c) Save to the extent permitted by Section 50B of the Copyright, Designs and Patents Act 1988 (as may be amended, updated or replaced from time to time), the Purchaser shall not: (i) copy the whole or any part of the Software; or (ii) decompile, disassemble or reverse compile the whole or any part of the Software from object code into source code. (d) Save as part of the Goods, the Purchaser shall not: (i) modify, merge or combine the whole or any part of the Software with any other software or documentation; or (ii) assign, transfer, sell, lease, rent, charge or otherwise deal in or encumber the Software nor use on behalf of or make available the same to any third party. The Software as modified or merged pursuant to this Condition shall remain subject to these Terms. (a) Where the Supplier has agreed to commission the Goods, the Purchaser shall fully and properly install the Goods prior to the due date for commissioning agreed by the Supplier. The Supplier shall be under no liability whatsoever for any loss or damage whatsoever direct or consequential and howsoever caused to the Purchaser or to any third party during or as a result of or in connection with the installation which is the sole responsibility of the Purchaser. The Supplier shall have no liability for any delay in the commissioning due to the failure of the Purchaser to fully and properl install the Goods prior to the due date for the commissioning. (b) To the extent that the Purchaser has not fully and properly installed the Goods prior to the due date for the commissioning, the Supplier shall be entitled (at its option) to: (i) additionally charge the Purchaser an abortive fee for cancellation of the original commissioning date and a fee for any work or time incurred by the Supplier; and/or (ii) require the Purchaser to rectify any faults in the installation and/or complete the installation as appropriate before the Supplier can carry out the commissioning and/or the Supplier may rectify any such faults and/or complete the installation as appropriate itself and charge the Purchaser accordingly. (c) The Purchaser shall procure the Supplier such access to its or the ultimate client's premises, systems, data, and such office accommodation and other facilities (on site and/or remotely), as may reasonably be required by the Supplier to carry out the commissioning. (d) The Purchaser shall ensure that it (or the ultimate client as appropriate) has appropriate back-up, security and virus-checking procedures in place for any computer facilities the Supplier requires access to (on site or remotely) in order to carry out the commissioning. The Supplier shall have no liability for any viruses, trojan horses or similar destructive, disruptive or nuisance programmes contained or introduced into the Purchaser's or the ultimate client's equipment or systems due to the Software or whilst carrying out the commissioning or otherwise. (e) The Supplier's commissioning engineers will comply with the Supplier's health and safety policy from time to time whilst on the Purchaser's or the ultimate client's site to carry out the commissioning (a copy of which is available from the Supplier upon request) and will use all reasonable endeavours to comply with such other reasonable health and safety policies relating to the site as are notified to the Supplier and the relevant commissioning engineers at least 7 days in advance of the due date for commissioning. (f) The Purchaser shall indemnify the Supplier against any loss or damage caused to the Supplier (including any liability incurred to any other person) during or as a result of or in connection with the commissioning. (g) For the avoidance of doubt, it is expressly declared that: (i) notwithstanding that the Supplier has undertaken to commission the Goods, the Goods shall be treated as delivered to the Purchaser in accordance with Condition 4; and (ii) the Supplier is not responsible for and has no liability for the installation of the Goods which is the sole responsibility of the Purchaser. (a) The Supplier may (without limiting any other remedy) at any time terminate the Contract by giving written notice to the Purchaser, if the Purchaser: (i) commits any breach of the Contract and (if capable of remedy) fails to remedy the breach within 7 days after being required by written notice to do so; or (ii) (in the case of a company) goes into liquidation or (in the case of an individual or firm) becomes bankrupt, or (in either case) makes a voluntary arrangement with its creditors or has a receiver or administrator appointed, or ceases or threatens to cease to do business or anything analogous happens. (b) The Purchaser may not, without the prior written agreement of the Supplier, terminate the Contract (in whole or in part) or make any variations to the Contract (including without limitation as to the quantity or type of Goods) once the Supplier has issued its Confirmation. If any termination or variation is agreed, the Supplier may vary its prices, timescales and any other terms accordingly and may charge a handling or other fee as it deems appropriate in its sole discretion. (c) Upon termination of the Contract for whatever reason, all charges for the Goods shall become immediately due and payable by the Purchaser to the Supplier. (a) The Purchaser acknowledges that the Supplier shall be under no liability to it or any other person arising from or in connection with any statement, representation, term or condition whatsoever whether express or implied and whether by application statutory provision or any other rule of law or otherwise concerning the Goods or delivery and no warranty (other than as to title) has been given or will apply other than those in the Quotation or Confirmation and the Purchaser confirms it has chosen the Goods as being of merchantable quality and suitable for its particular purposes. (b) The Purchaser shall indemnify the Supplier against any claim brought by a third party in respect of the delivery or use of the Goods except to the extent that the Supplier is liable to the Purchaser under the Contract. (c) The Supplier shall be entitled to make changes in the design of the Goods which does not diminish their performance or visual appeal and supplying them in such state shall conform to the Contract. Subject thereto, the quantity and description of the Goods shall be as set out in the Quotation or Confirmation. All samples, drawings, descriptive matter, specifications and advertising issued by the Supplier and any descriptions or illustrations contained in the Supplier's catalogues or brochures are issued or published for the sole purpose of giving an approximate idea of the Goods described in them. They shall not form part of the Contract and this is not a sale by sample. (d) The Goods are guaranteed by the Supplier against all defects of materials or workmanship which are notified to the Supplier within the warranty period of 12 months after delivery provided that this guarantee shall not be effective unless written notice of any defect is given forthwith on the Purchaser becoming aware of such defect. The warranty period may be extended to 3 years upon registration by the Purchaser (or its ultimate client) subject to the Supplier's terms for the extended warranty which are available from the Supplier upon request (extended warranty is at the discretion of the supplier and limited to selected products at the discretion of the supplier). (e) Any services provided by the Supplier will be performed with reasonable skill and care, provided that the Supplier shall have no liability for any installation of the Goods. (f) The Supplier does not warrant that the Goods will be fit for any particular purpose or that the Software will operate uninterrupted or be error free, and it is the sole responsibility of the Purchaser to ensure that the specification meets its and its ultimate client's requirements. (g) On receipt of notice of a defect the Supplier shall determine whether the defect has occurred in a replaceable item or is one of materials or of workmanship in an item other than a replaceable item. If the Supplier shall determine that the defect is of materials and is not in a replaceable item, the Supplier shall at its option and own expense either supply and install a replacement for the defective Goods or the relevant part or refund the purchase monies paid for them. If the Supplier shall determine that the defect is of workmanship and is not in a replaceable item the Supplier shall at its option and own expense either repair or supply and install a replacement for the defective Goods or refund any purchase monies paid for them. If the Supplier shall determine that the defect is in a replaceable item, the Supplier will supply only a replacement item but will have no other responsibility in respect of that item. The Supplier shall have no liability or obligation in respect of defective Goods other than as stated in these Terms. (h) The Supplier's guarantee shall be of no further effect, and the Supplier shall have no liability under the guarantee or otherwise, if the Goods are used or maintained otherwise than in accordance with the Supplier's or manufacturer's instructions and good engineering practise or the defect arises from accident or neglect of the Goods or the Goods have been altered or modified in any way or have been repaired by any person other than the Supplier or have been improperly installed or serviced, or the defect arises from any cause or circumstance beyond the control of the Supplier. (i) The Supplier shall be entitled to rely on the accuracy, suitability etc of the ceiling and mounting specifications supplied to it and if the Purchaser seeks the Supplier's confirmation that any of the Goods are suitable for any particular application it must supply with the order full ceiling construction/luminaire aperture data. (j) Other than identified above and subject to the Supplier not excluding or limiting its liability for fraud or for fraudulent misrepresentation or for causing death or personal injury by negligence, it shall not be liable (whether in contract, tort (including negligence), for breach of statutory duty or otherwise) for indirect or consequential loss and otherwise its liability shall be limited to the amounts paid by the Purchaser for the Goods concerned. (k) The Supplier reserves the right to defer the date of delivery or to cancel the Contract or reduce the volume of the Goods ordered by the Purchaser (without liability to the Purchaser) if it is prevented or delayed due to circumstances beyond its reasonable control including, without limitation, acts of God, governmental actions, war or national emergency, acts of terrorism, protests, riot, civil commotion, fire, explosion, flood, epidemic, lock-outs, strikes or other labour disputes (whether or not relating to either party's workforce), or restraints or delays affecting carriers or inability or delay in obtaining supplies of adequate or suitable materials, provided that, if the event in question continues for a continuous period in excess of three months, the Purchaser shall be entitled to give notice in writing to the Supplier to terminate the Contract. (a) Any maintenance and support provided by the Supplier to the Purchaser (or the Purchaser's ultimate client) is subject to the Supplier's separate maintenance and support terms and conditions, a copy of which is available from the Supplier upon request. (b) The Contract is personal to the Purchaser and the Purchaser shall not assign or transfer to any other person any of its rights or obligations under the Contract without the prior written consent of the Supplier. The Supplier may assign, transfer or sub-contract all or any of its rights and obligations under the Contract to any other person without the consent of the Purchaser. (c) No failure or delay by the Supplier in exercising any of its rights under the Contract shall be deemed to be a waiver of that right, and no waiver by the Supplier of any breach of the Contract by the Purchaser shall be effective unless in writing signed by a duly authorised officer of the Supplier and shall not in any event be considered as a waiver of any subsequent breach of the same or any other provision. (d) If any provision of these terms is held by any competent authority to be invalid or unenforceable in whole or in part, the validity of the other provisions of these terms and the remainder of the provision in question shall not be affected. (e) A person who is not a party to the Contract has no rights under the Contracts (Rights of Third Parties) Act 1999 (as may be amended, updated or replaced from time to time) to enforce any term of the Contract but this does not affect any right or remedy of a third party which exists or is available apart from that Act. (a) The Contract and any dispute or claim arising out of or in connection with it or its subject matter or formation (including non-contractual disputes or claims) shall be governed by and construed in accordance with the law of England and Wales. (b) The purchaser and the supplier irrevocably agree that the courts of England and Wales shall have exclusive jurisdiction to settle any dispute or claim that arises out of or in connection with the contract or its subject matter or formation (including non-contractual disputes or claims) and shall have non-exclusive jurisdiction in relation to or in the enforcement of any judgement obtained in such court proceedings. (c) The Supplier may at its discretion require the Purchaser to appoint an agent in England to accept on its behalf service of all notices served under the Contract and to accept service of process in respect of all proceedings arising out of the Contract. We are very delighted that you have shown interest in our enterprise. Data protection is of a particularly high priority for the management of the Cube Lighting Limited. The use of the Internet pages of the Cube Lighting Limited is possible without any indication of personal data; however, if a data subject wants to use special enterprise services via our website, processing of personal data could become necessary. If the processing of personal data is necessary and there is no statutory basis for such processing, we generally obtain consent from the data subject. The processing of personal data, such as the name, address, e-mail address, or telephone number of a data subject shall always be in line with the General Data Protection Regulation (GDPR), and in accordance with the country-specific data protection regulations applicable to the Cube Lighting Limited. By means of this data protection declaration, our enterprise would like to inform the general public of the nature, scope, and purpose of the personal data we collect, use and process. Furthermore, data subjects are informed, by means of this data protection declaration, of the rights to which they are entitled. As the controller, the Cube Lighting Limited has implemented numerous technical and organizational measures to ensure the most complete protection of personal data processed through this website. However, Internet-based data transmissions may in principle have security gaps, so absolute protection may not be guaranteed. For this reason, every data subject is free to transfer personal data to us via alternative means, e.g. by telephone. The data protection declaration of the Cube Lighting Limited is based on the terms used by the European legislator for the adoption of the General Data Protection Regulation (GDPR). Our data protection declaration should be legible and understandable for the general public, as well as our customers and business partners. To ensure this, we would like to first explain the terminology used. The website of the Cube Lighting Limited collects a series of general data and information when a data subject or automated system calls up the website. This general data and information are stored in the server log files. Collected may be (1) the browser types and versions used, (2) the operating system used by the accessing system, (3) the website from which an accessing system reaches our website (so-called referrers), (4) the sub-websites, (5) the date and time of access to the Internet site, (6) an Internet protocol address (IP address), (7) the Internet service provider of the accessing system, and (8) any other similar data and information that may be used in the event of attacks on our information technology systems. When using these general data and information, the Cube Lighting Limited does not draw any conclusions about the data subject. Rather, this information is needed to (1) deliver the content of our website correctly, (2) optimize the content of our website as well as its advertisement, (3) ensure the long-term viability of our information technology systems and website technology, and (4) provide law enforcement authorities with the information necessary for criminal prosecution in case of a cyber-attack. Therefore, the Cube Lighting Limited analyzes anonymously collected data and information statistically, with the aim of increasing the data protection and data security of our enterprise, and to ensure an optimal level of protection for the personal data we process. The anonymous data of the server log files are stored separately from all personal data provided by a data subject. On the website of the Cube Lighting Limited, users are given the opportunity to subscribe to our enterprise's newsletter. The input mask used for this purpose determines what personal data are transmitted, as well as when the newsletter is ordered from the controller. The Cube Lighting Limited informs its customers and business partners regularly by means of a newsletter about enterprise offers. The enterprise's newsletter may only be received by the data subject if (1) the data subject has a valid e-mail address and (2) the data subject registers for the newsletter shipping. A confirmation e-mail will be sent to the e-mail address registered by a data subject for the first time for newsletter shipping, for legal reasons, in the double opt-in procedure. This confirmation e-mail is used to prove whether the owner of the e-mail address as the data subject is authorized to receive the newsletter. The newsletter of the Cube Lighting Limited contains so-called tracking pixels. A tracking pixel is a miniature graphic embedded in such e-mails, which are sent in HTML format to enable log file recording and analysis. This allows a statistical analysis of the success or failure of online marketing campaigns. Based on the embedded tracking pixel, the Cube Lighting Limited may see if and when an e-mail was opened by a data subject, and which links in the e-mail were called up by data subjects. Such personal data collected in the tracking pixels contained in the newsletters are stored and analyzed by the controller in order to optimize the shipping of the newsletter, as well as to adapt the content of future newsletters even better to the interests of the data subject. These personal data will not be passed on to third parties. Data subjects are at any time entitled to revoke the respective separate declaration of consent issued by means of the double-opt-in procedure. After a revocation, these personal data will be deleted by the controller. The Cube Lighting Limited automatically regards a withdrawal from the receipt of the newsletter as a revocation. The website of the Cube Lighting Limited contains information that enables a quick electronic contact to our enterprise, as well as direct communication with us, which also includes a general address of the so-called electronic mail (e-mail address). If a data subject contacts the controller by e-mail or via a contact form, the personal data transmitted by the data subject are automatically stored. Such personal data transmitted on a voluntary basis by a data subject to the data controller are stored for the purpose of processing or contacting the data subject. There is no transfer of this personal data to third parties. If one of the aforementioned reasons applies, and a data subject wishes to request the erasure of personal data stored by the Cube Lighting Limited, he or she may, at any time, contact any employee of the controller. An employee of Cube Lighting Limited shall promptly ensure that the erasure request is complied with immediately. Where the controller has made personal data public and is obliged pursuant to Article 17(1) to erase the personal data, the controller, taking account of available technology and the cost of implementation, shall take reasonable steps, including technical measures, to inform other controllers processing the personal data that the data subject has requested erasure by such controllers of any links to, or copy or replication of, those personal data, as far as processing is not required. An employees of the Cube Lighting Limited will arrange the necessary measures in individual cases. If one of the aforementioned conditions is met, and a data subject wishes to request the restriction of the processing of personal data stored by the Cube Lighting Limited, he or she may at any time contact any employee of the controller. The employee of the Cube Lighting Limited will arrange the restriction of the processing. In order to assert the right to data portability, the data subject may at any time contact any employee of the Cube Lighting Limited. The Cube Lighting Limited shall no longer process the personal data in the event of the objection, unless we can demonstrate compelling legitimate grounds for the processing which override the interests, rights and freedoms of the data subject, or for the establishment, exercise or defence of legal claims. If the Cube Lighting Limited processes personal data for direct marketing purposes, the data subject shall have the right to object at any time to processing of personal data concerning him or her for such marketing. This applies to profiling to the extent that it is related to such direct marketing. If the data subject objects to the Cube Lighting Limited to the processing for direct marketing purposes, the Cube Lighting Limited will no longer process the personal data for these purposes. In addition, the data subject has the right, on grounds relating to his or her particular situation, to object to processing of personal data concerning him or her by the Cube Lighting Limited for scientific or historical research purposes, or for statistical purposes pursuant to Article 89(1) of the GDPR, unless the processing is necessary for the performance of a task carried out for reasons of public interest. In order to exercise the right to object, the data subject may contact any employee of the Cube Lighting Limited. In addition, the data subject is free in the context of the use of information society services, and notwithstanding Directive 2002/58/EC, to use his or her right to object by automated means using technical specifications. If the decision (1) is necessary for entering into, or the performance of, a contract between the data subject and a data controller, or (2) it is based on the data subject's explicit consent, the Cube Lighting Limited shall implement suitable measures to safeguard the data subject's rights and freedoms and legitimate interests, at least the right to obtain human intervention on the part of the controller, to express his or her point of view and contest the decision. If the data subject wishes to exercise the rights concerning automated individual decision-making, he or she may, at any time, contact any employee of the Cube Lighting Limited. If the data subject wishes to exercise the right to withdraw the consent, he or she may, at any time, contact any employee of the Cube Lighting Limited.